Some skin prematurely ages because of exposure to elements - the sun, the winds, the heat of summer and the cold of winter. These elements all contribute to premature aging. 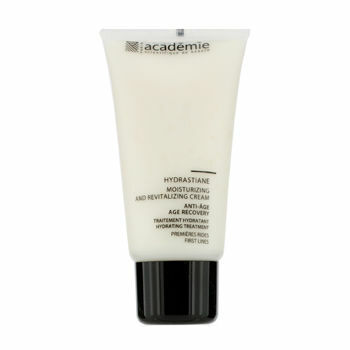 Academie has come up with a beauty prescription that is specifically formulated to recover the lost moisture from the skin which causes "baby lines(firat lines) to appear on your face. The Hydrastiane Nourishing and Revitalizing Cream moisturizes the upper layers of epidermis for increase hydration/. It also contains anti-irritating properties to calm and protect the skin from the elements. Experience how this cream delivers your first lines moisture. See how it visibly revitalizes your skin abd how it is nourished and energized! - A more supple and energized skin.